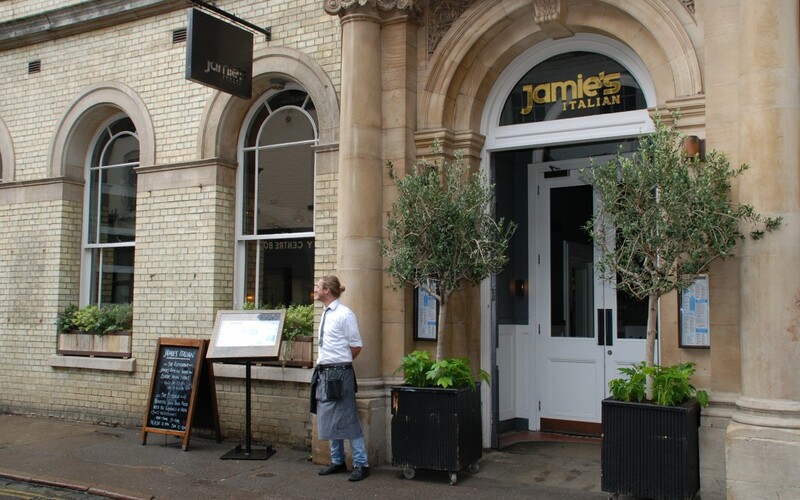 Jamie’s Italian Pizzeria in Cambridge Loves Hunter! After a rigorous selection process Jamie’s Italian restaurant has decided to buy the Hunter Salinas fans to cool its classy pizzeria. The chain, started by World famous TV chef Jamie Oliver with many city center establishments, has converted the old library in the heart of Cambridge (right next to the famous King’s College) into a fabulous and extremely popular restaurant. The pizzeria is themed on a school room with simple school chairs and tables create a great ambiance. The high ceiling adds to the feel and meant that long drop rods were required to bring the ceiling fans down to be nearer head height. Jamies’ interior designers were impressed by the history associated with the beautiful Hunter Salinas ceiling fan. It’s 1930’s era connotations and simple art-deco tubular styling appealed. Add in the pre-war Italian austerity era engineering feel makes it a perfect match for a pizzeria. Apart from the design benefits the company loved the cost-effective installation and energy efficient operation of ceiling fans. The restaurant is situated upstairs in the old library and when full of dinners got very hot especially during the March – October period. 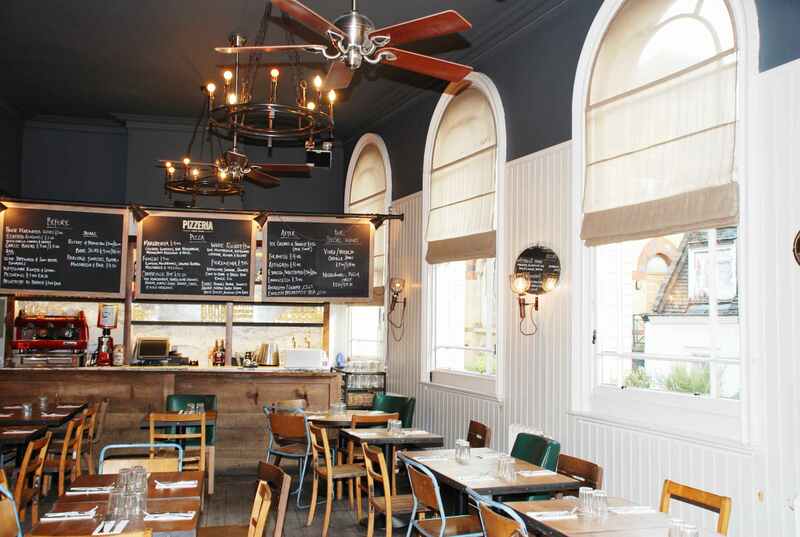 The company is delighted with the success of the project as the fans don’t just provide an essential cooling function but also add to the overall interior design of the restaurant. Both customers and the hardworking staff are much happier now. “Before these fans were installed we used to be as hot as the food in here! They are a great improvement and the customers love them too!”.